The case, Mathes v. Molson Coors Brewing Company et al., No. 1:19-cv-01162, has been filed in the United States District Court for the Northern District of Illinois against the Company and certain of its officers. The lawsuit focuses on whether the Company and its executives violated federal securities laws by making false and/or misleading statements and/or failing to disclose that: (1) Molson Coors failed to properly reconcile the outside basis deferred income tax liability for Molson Coors’ investment in its MillerCoors, LLC partnership; (2) consequently, Molson Coors misreported net income in its consolidated financial statements for the fiscal years ending December 31, 2016 and December 31, 2017, resulting in an overall downward revision to net income; (3) Molson Coors lacked adequate internal controls over financial reporting; and (4) as a result, Defendants’ statements about Molson Coors’ business, operations and prospects were materially false and misleading and/or lacked a reasonable basis at all relevant times. The case has been assigned to Judge Rebecca R. Pallmeyer. The case, Keippel v. Health Insurance Innovations, Inc. et al., No. 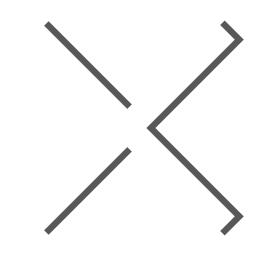 19-cv-00421, has been filed in the United States District Court for the Middle District of Florida against the Company and certain of its officers. The lawsuit focuses on whether the Company and its executives violated federal securities laws by making false and/or misleading statements and/or failing to disclose: (1) that a substantial portion of the Company’s revenues were derived from third parties; (2) that these third parties used deceptive tactics to sell the Company’s policies, including overstating the policy’s coverage and/or selling under the licenses of employees who had no involvement in the underlying sales; (3) that regulatory scrutiny of these third parties would materially impact the Company’s operations; and (4) that, as a result of the foregoing, Defendants’ positive statements about the Company’s business, operations, and prospects were materially misleading and/or lacked a reasonable basis. The case has been assigned to Judge William F. Jung. If you invested in any of these companies, please fill out the form on our website at the links above to learn more. You can also contact us by calling Richard Gonnello toll free at 877-247-4292 or at 212-983-9330 or by sending an e-mail torgonnello@faruqilaw.com. 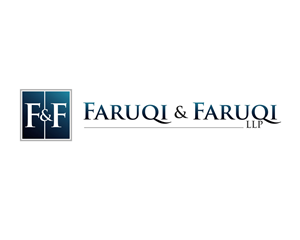 Faruqi & Faruqi, LLP also encourages anyone with information regarding the foregoing companies’ conduct to contact the firm, including whistleblowers, former employees, shareholders and others.